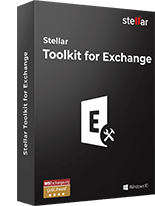 With Stellar Merge Mailbox for Outlook software, you can easily merge or join multiple Outlook PST files into a single file as it is a Do-it-yourself tool with user-friendly interface. It is featured with highly beneficial features that help you to merge or join all data items such as Emails, Contacts, Notes, Calendars, Tasks, and Journals without altering the data of the original PST files. *Demo Version Shows Mail Body and Attachments of Merged or Joined PST File in preview. Devised to merge multiple PST files into one, the software easily merges or joins multiple MS Outlook PST files once it gets executed. As a user, you simply need to follow the correct way to accomplish the process of merge and join and perform one or both of the processes as per your wish or need. This Merge PST files tool has a feature that enables you to merge only a particular data of the PST files. It can merge Outlook Contacts, Calendars, or any other folder from the specified PST files without the need to merge the entire folder of the Outlook data files. With this feature, you can save time by avoiding merging or joining the unwanted folders. To merge Outlook PST files, the Merge PST software does not define any restriction on the size of the PST files to be merged or joined. Thus, you can merge or join the Outlook PST files of any size, small or large, with this Stellar Merge Mailbox for Outlook software. 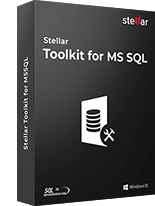 This merge PST file tool maintains the data integrity of the original PST files without building any deviations in the original content or structure of the Outlook PST files. This feature applies to both merging and joining of Outlook PST files. Thus, you need not worry about the deformation of the original data files of Outlook. The utility is capable of merging both unprotected and password-protected PST files of Outlook email client. In the latter situation, however, users need to know and key in the correct password for successfully merging the PST files of the Outlook email client. The PST Merge software has the Remove Duplicate feature to remove duplicate emails based on Subject, Sender Email, and Text while merging two or more PST files into one. It provides 100% assurance for duplicate free items. These Remove Duplicate options are enabled by default in the software for your convenience and can get disabled by unchecking the options. The software removes the deleted and junk folder from the new PST file and hence excludes the deleted and junk data during merging or joining. This is a highly beneficial feature as, in most of the cases, the deleted and junk data are of no use. You can enable it by clicking the Exclude Deleted Folder and Exclude Junk Folder check boxes. Devised with advanced technology to merge Outlook PST files, the utility can complete the PST merge and join process quickly in a short time. This feature helps users in accomplishing the process of merging or joining the Outlook PST files at a considerably high speeds. The software offers several options to save the merged or joined PST files. The varied saving options provided are Outlook profile, Office 365, Exchange Server, and new or existing PST files. Thus, depending on your requirement, you can opt for any of the options and save the PST file that you either merged or joined in one. The Graphical User Interface of the software is quite easy to understand, thus making it a user-friendly utility to merge or join PST files. Both novice and professional users can use it to merge or join Outlook PST files into a single file without fail. The merge Outlook PST software generates a log report containing details of the PST merge process. Users can save the generated log report to analyze the merging process of the PST files through this tool any time later. 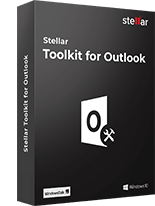 The software, Stellar Merge Mailbox for Outlook supports various versions of the MS Outlook email client as it can join or merge PST files of Outlook 2016, 2013, 2010, and 2007. It is compatible with Windows 10, Windows 8.1, Windows 8, and Windows 7, and thus can be installed, registered, and run on any of these versions of the Windows operating system. Does the software provide the option to merge only the Contacts folders of multiple PST files? Yes. 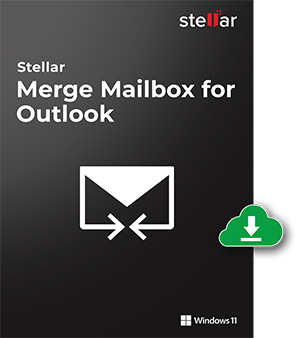 Stellar Merge Mailbox for Outlook software provides you with the option to merge specific folders of multiple PST files that include the Contacts folder. It can also merge other folders such as Emails, Calendars, Journals, To-Do, and Tasks, without having the necessity to merge all folders of the PST files. What is the difference between ‘Join’ and ‘Merge’ feature? When you join multiple PST files, multiple folder hierarchies of each PST file gets created within a single PST file. On the other hand, when you merge multiple PST files, contents of the respective folders such as Emails, Tasks, Contacts, Calendars, Journals, and To-Do in all the PST files gets saved in one PST file, and hence gets merged. Can I merge Outlook archive files to a single PST file? Yes. You can merge the archive files of MS Outlook into a single PST file with this software. Does merge PST software support different Outlook profiles for merging? Yes. It supports different Outlook profiles for merging PST files into one. Does the software merge corrupt PST files? No. The merge PST software cannot merge damaged or corrupt PST files. You need to ensure that the PST files that are in a healthy state. 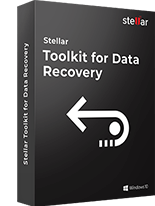 If you wish to merge the damaged PST files, you should first repair them by using Stellar Repair for Outlooksoftware. Is it possible to join two PST files without installing MS Outlook program? No. It is not possible to join PST files without installing MS Outlook program on your system. Can I merge or join multiple Outlook PST files? Yes. You can merge or join multiple Outlook PST files into one. 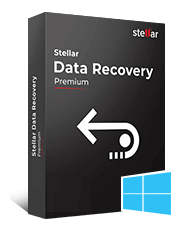 Stellar Repair for Outlook is the most comprehensive software to repair corrupt PST files and recove..
Stellar Repair for Outlook Technician is an advanced PST repair software that not just repairs corru..